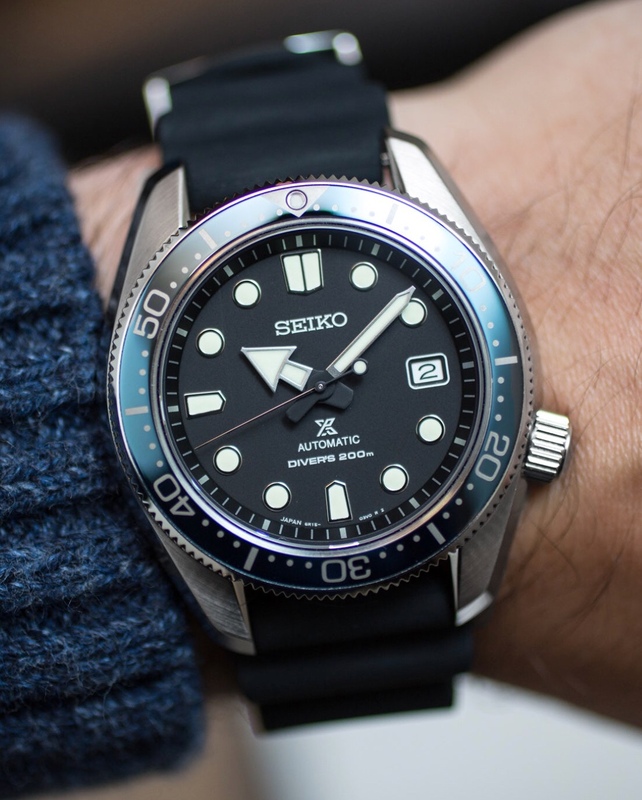 Seiko’s newest 2018 6R15 Prospex Diver is a modern interpretation of the iconic 6159-7001. 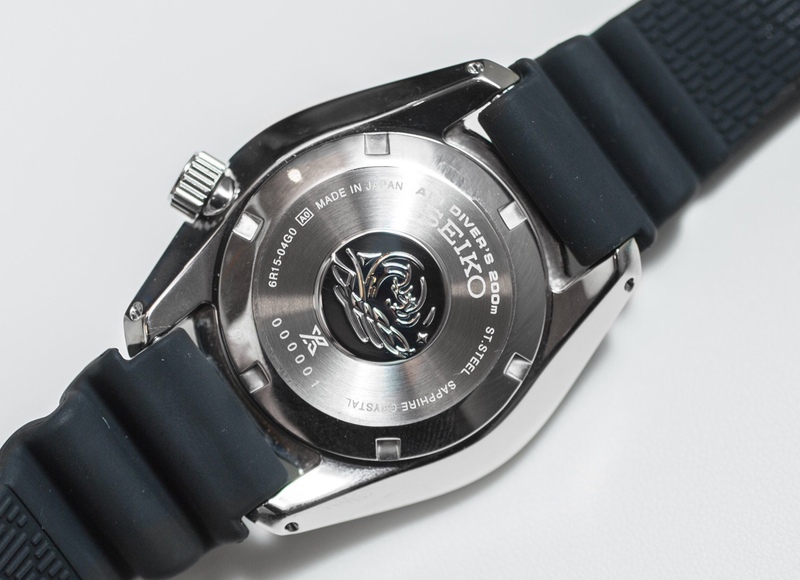 Sure there’s the Hi Beat SLA025/SBEX007, but at $5,400 it will be out of reach for most Seiko fans. 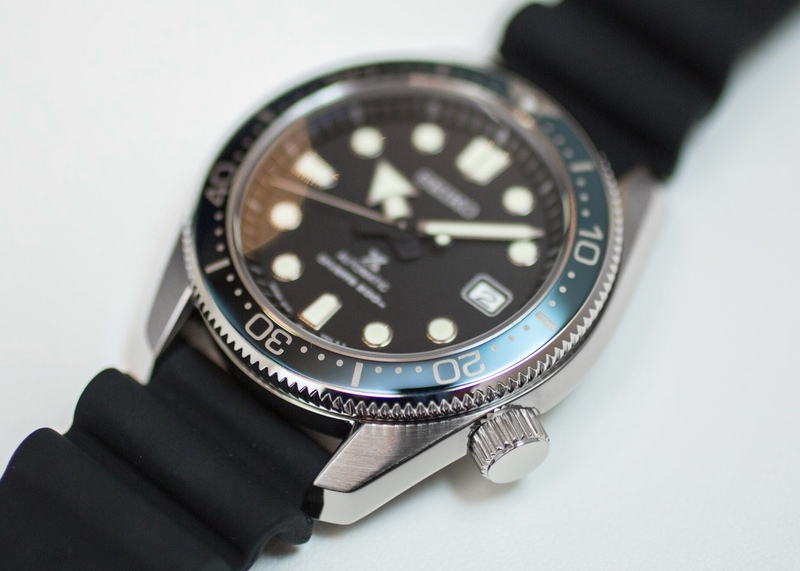 The SPB077 & SPB079/ SBDC061-SBDC063 will be $1,050 & $850. I’m sure street price will be 20%-25% lower. Last edited by Spring-Diver; May 3rd, 2018 at 00:39.
tsteph12, splitfire11, Pneuma and 15 others like this. Love these new divers! I'll definitely be picking one up once they hit familiar dealer sites. In before the inevitable "wish it was 40mm" and "6r15 in a $1000 watch!?" comments. Not bad looking but just looks like they've been a bit lazy with the design to me, considering the similarities to the SPB051/53. 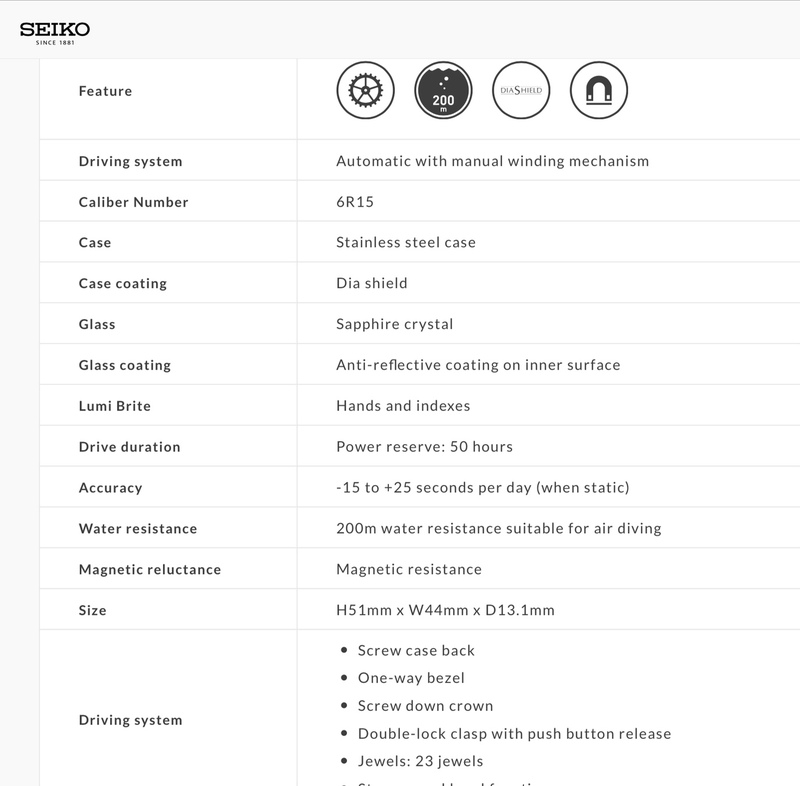 Definitely nice to see Seiko making AR sapphires and good bracelets more common though. It would be nice if they'd start using ratcheting diver's extensions on the clasps too, don't think it's too much to ask really. Last edited by clyde_frog; May 3rd, 2018 at 00:20. DarthVedder, ymate and jeffkrupa5180 like this. 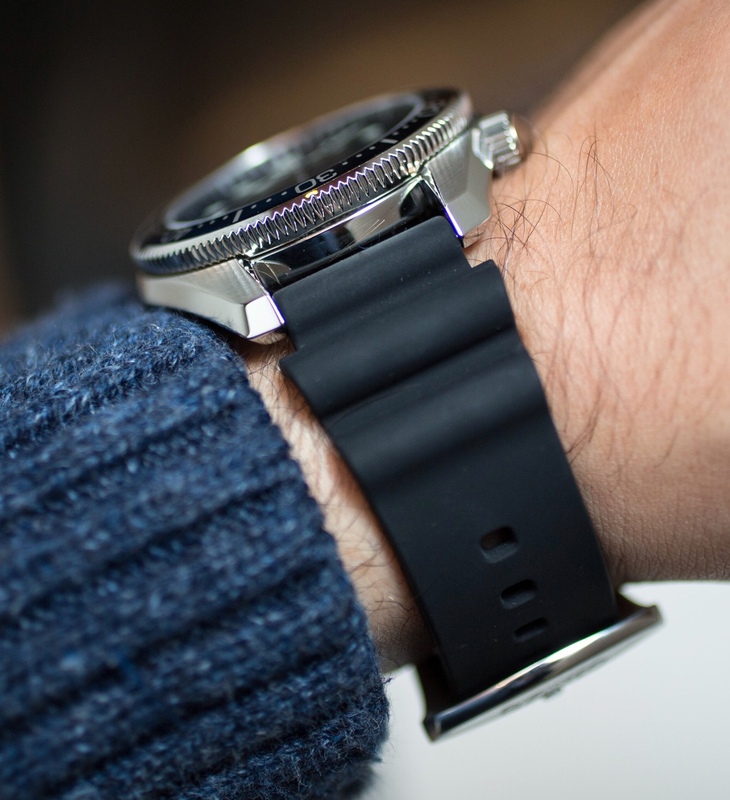 In before the inevitable "wish it was 40mm" and "6r15 in a $1000 watch!?" comments. Personally I think this is really similar to the SRPB51 but not as good looking. Although saying that I don't really love the lug design on either of them. Really don’t want this thread to turn into a size / 6R15 debate. Definitely worth it for the solid construction of these which I think have to resemble the larger cousins to feel genuinely re-interpretative (if that’s even a word). My only criticism is like the MM300 the crown is not aligned with the 4 o clock index. It bothers me on the 300 but could be forgiven maybe on these. Maybe that’s a part of the re-interpreting. Just glad the SLA/SBEX version is faithful to the original 4 o’clock alignment. 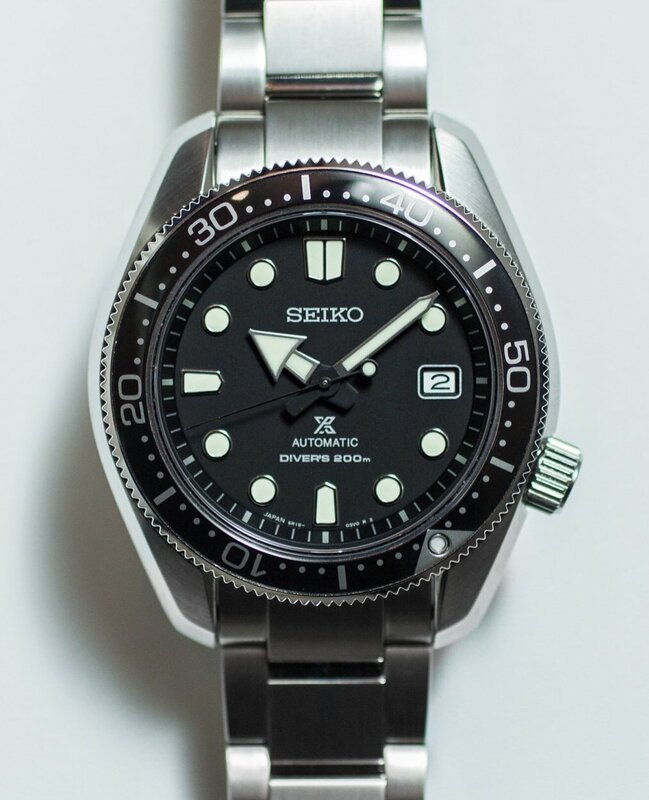 Sure there’s the Hi Beat SLA025/SBEX005, but at $5,400 it will be out of reach for most Seiko fans. 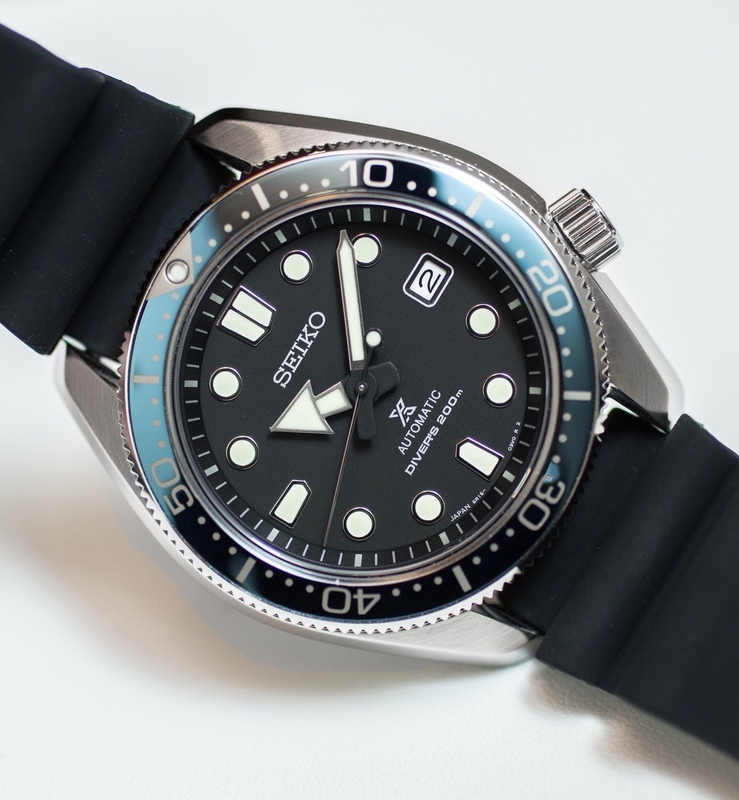 Slight typo, it's the SBEX007 in Japan. EX for EXpensive sums it up though. Spring-Diver and jeffkrupa5180 like this. Not bad looking but just looks like they've been a bit lazy with the design to me, considering the similarities to the SPB051/53. Definitely nice to see Seiko making AR sapphires and good bracelets more common though. It would be nice if they'd start using ratcheting diver's extensions on the clasps too, don't think it's too much to ask really. 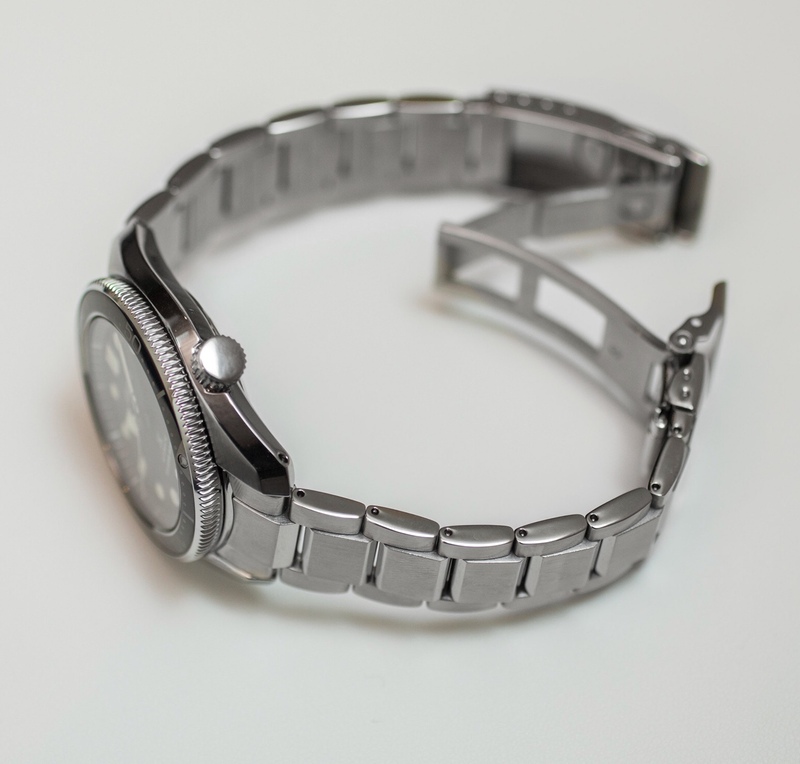 Other than hands, white date wheel & coin edge bezel, they’re totally different IMO. Agree the MM ratcheting clasp should be standard issue. Considering they’re only around $40 at AD’s cost.